Thanks for looking at our 2019 Formula Triumph 6x10 enclosed cargo trailer! This is here, in stock, and ready to go! 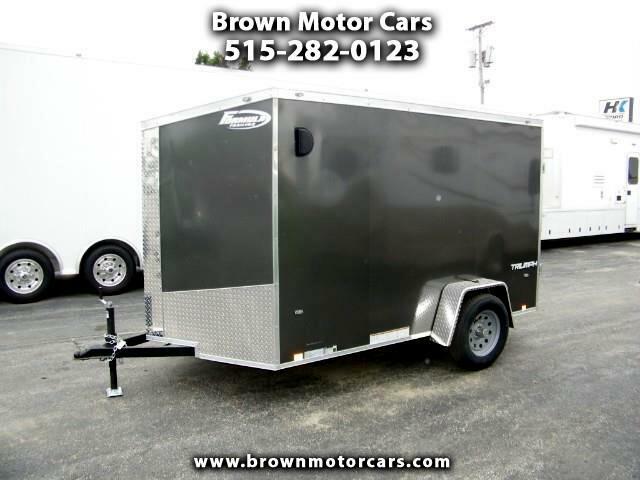 This trailer features 6' interior height, 3,500lb axle, screwless exterior siding, forced air side vents, v-nose, side entry door, rear ramp door w/spring assist, 12v interior dome light, 15" wheels w/radial tires, LED exterior lighting, 3/8" interior side walls, 3/4" flooring, 24" diamond plate stone guard, and much more! Give us a call with any questions or stop out and take a look at this trailer today because it won't last long!